A 55-year-old Belize City man who has been accused of theft was before the court today to answer to the theft charge, for which he pleaded not guilty when he was arraigned before Chief Magistrate Ann Marie Smith. 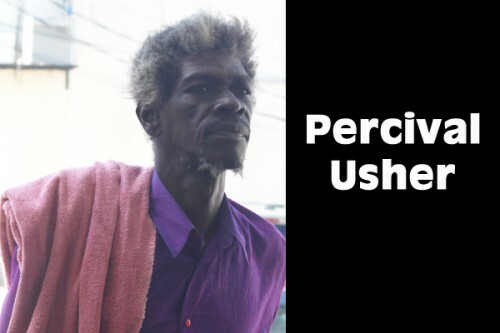 Percival Usher, a resident of #3676 Central American Boulevard, was offered bail of $500, but he was told that he would not be able to access his bail until all of his outstanding court fines are paid in full. Usher, according to court records, has some outstanding court fines dating back to 1999. Usher told the court that he has never been to prison to serve time for any of the outstanding fines, which suggested that the fines are indeed outstanding. But by afternoon, when Usher’s family went to pay the fines, it was discovered that there was a clerical error. And it was not the accused man, Percival Usher, who had owed the court fines, but his son, who has the same name. Usher has been accused of stealing $950 worth of items belonging to a Paula Almendarez. The theft reportedly occurred on Sunday, March 31, when Usher allegedly stole a car battery, a CD deck and a gold earring.